The Curtain Exchange was founded over 25 years ago in 1990. It was the brainchild of Liz Meston and Juliana Galvin. 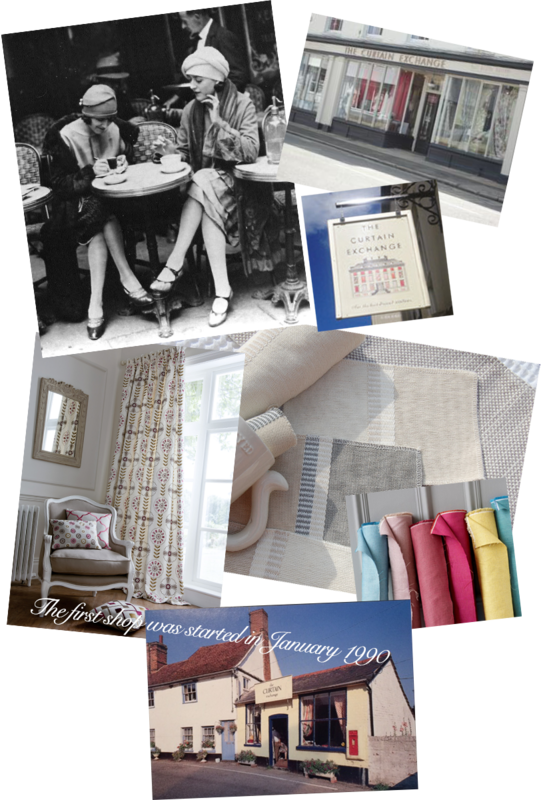 The first shop was in Suffolk and 6 months later they opened their famous shop in London’s Fulham. The first shop in Boxford, rent cost £25 per week. Liz and Juliana started with only £500 each and were unable to have a telephone for the first month as they did not have £30.50 for the connection fee! With no other business like it, they were ahead of their time. They saw the opportunity to recycle quality high end curtains. Owners could suddenly turn their curtains into an asset and buyers could buy good quality curtains at a previously unachievable price. Other entrepreneurial people saw the potential of the business and joined The Curtain Exchange opening their own Curtain Exchange shops. In spite of the growth of Secondhand trading sites, The Curtain Exchange concept thrives as people love seeing the curtains before they buy and having the personal service the shops offer. It is a no risk shopping experience. You take away what you see. This is not an actual picture of Liz and Juliana.